It’s time to go beyond the traditional roasted beets your mom boiled or cooked in the oven and think of beets as a way to beef up your salads. Go to the store and get two or three beets and start by cleaning them and trimming the green tops off. Leave about one inch of the stems intact to prevent the beets from bleeding. But don’t throw away those green tops; use them in my chicken soup recipe I posted last week. Beets are superfoods, stocked with high levels of folate and potassium, according to Self Nutritional Data and the USDA. I often cook several beets on a Sunday night so that I have them ready for these salads throughout the week. Preheat your oven to 425 degrees. 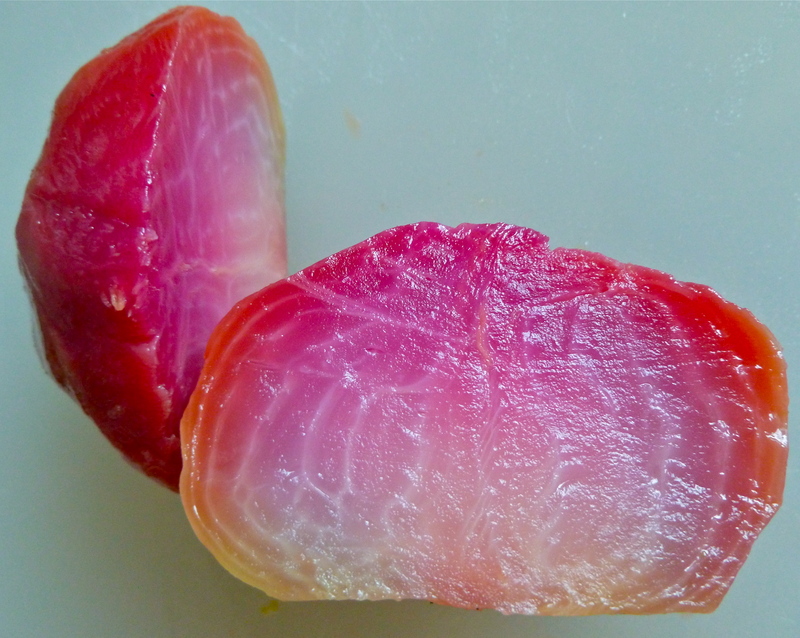 Then rub each beet with a bit of olive oil and wrap them in aluminum foil. Place them on a cooking sheet so that their juices won’t ooze to the bottom of the oven and make a mess. Cook them for at least one hour or until a knife can easily slide through the beet. Cool them to room temperature and peel them. Now let’s have fun with two different salads that I promise will make your beets taste like candy from the earth. The first salad combines the sweetness of beets, the crunch of cucumbers and the salt of feta cheese to make this a savory and sweet salad. The second salad is all about combining fresh, simple ingredients. Each of these recipes is a perfect serving for one person for lunch or a side dish at dinner. Combine all ingredients in a bowl and lightly drizzle with olive oil. Salt and pepper to your taste. I used peas from my garden that I froze earlier in the year. Gently mix ingredients together and sprinkle with sea salt. If you are craving greens in your salad, add ½ cup torn arugula. 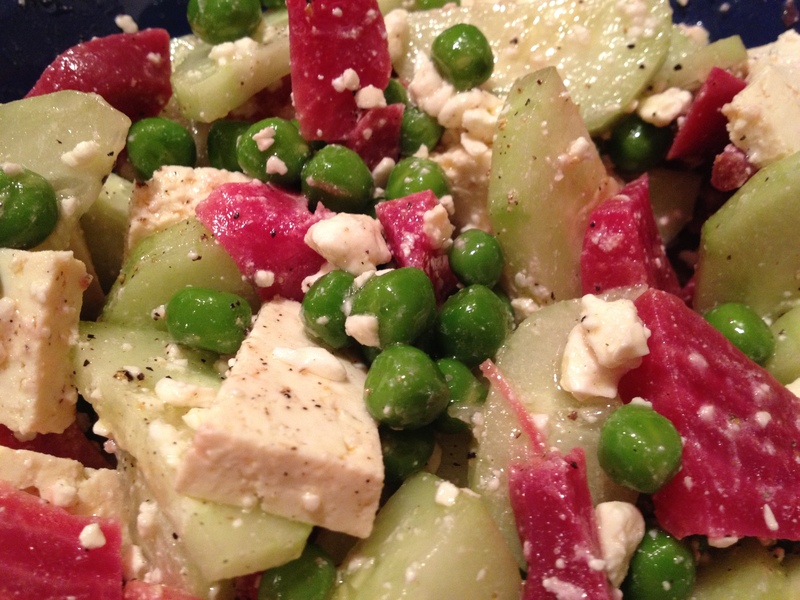 Posted in Recipes and tagged avocado, beets, feta, peas, recipe, salad, tomato. Bookmark the permalink. 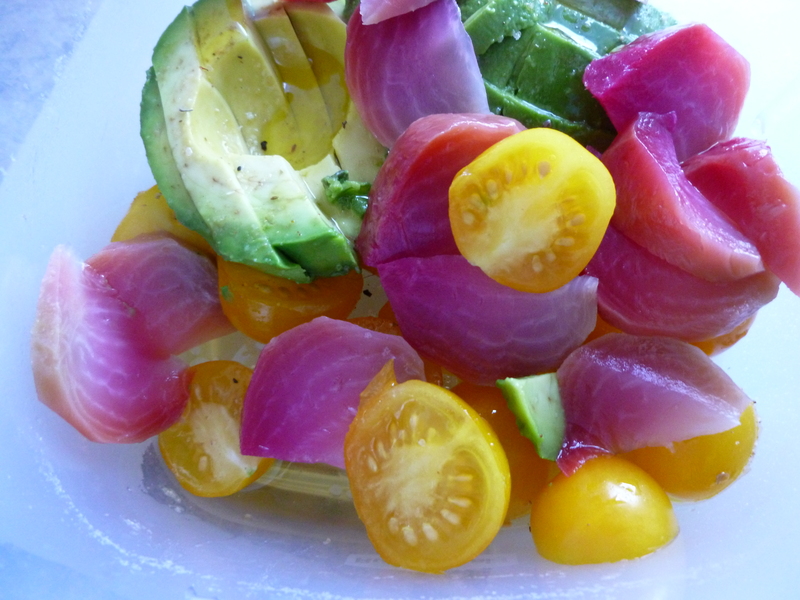 I used to avoid beets because I didn’t like the way they stained everything in my salad bright pink! I recently ate them roasted, and I couldn’t get enough of them. Both of your salads look refreshing and delicious! Thanks foods for the soul. There are so many great ways to prepare beets. I love the sweet, earthy taste of them. I just baked with them for the first time last week. I couldn’t stop eating the dessert! !